No. 20, Jalan Selampit 21, Taman Klang Jaya, 41200 Klang, Selangor, Malaysia. eWeld was established in 2007 as a Importer of welding machine. Apart from welding machine, eWeld also provide welding accessories, gas equipment, gas regulator, gas cylinder, flash back arrestor, gouging torches, nozzle tip etc. 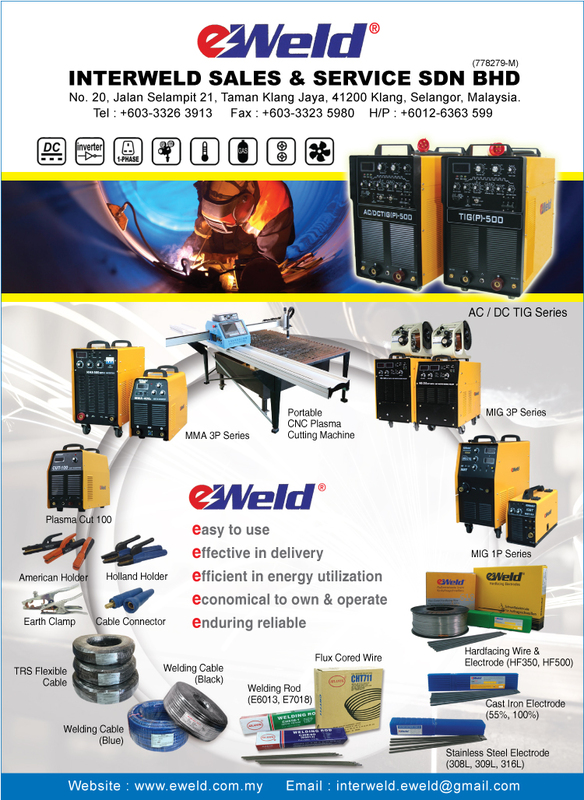 With more than 15 years wide expose and experience in welding industries, eWeld have wide network of contacts for both customers and suppliers, its become a potential as demand for welding products in Malaysia & oversea. eWeld was grown to a group of companies and expanded its business from Klang Valley across whole Malaysia, including East Malaysia, Sabah and Sarawak.